Overnight stay. Very friendly owners, terrific breakfast in a cosy place and with other guests. Quiet. The fire looked good but we didn't need it. Oxley B & B Great room, clean, well equip, nicely decorated, warm and inviting! Stay a short drive from Portarlington and leave the running around for more fun pursuits — like grabbing a bevvy or two. You'll find 5 hotels to select from within 5 kilometres of the centre on lastminute.com.au. 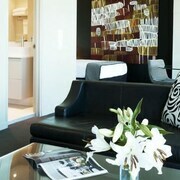 Look into the Pelican Sands Bed & Breakfast and Bellarine Day Spa & Retreat. They're close to the downtown action, so hit the snooze button and enjoy that long-overdue sleep in! Aim for a birdie and steer clear of the rough as you tee off at Portarlington Golf Club. The most awesome news is you can set yourself up just around the corner! 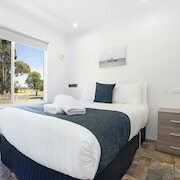 The Portarlington Beach Motel and Bellarine Bayside Holiday Parks are two fabulous accommodation options nearby. 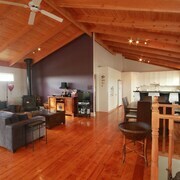 You may also like to stay at the Starhaven Retreat, which is 6 kilometres away. Or you might like the Mansion Hotel & Spa at Werribee Park, just a distance of 25 kilometres from Portarlington. The Aquabelle Apartments, 30 kilometres away, and the Amawind Apartments, 40 kilometres away, are some further options. Looking for more to do? Spend some time exploring the Queenscliff Ferry and Queenscliff Harbour Observation Tower. You'll find them in Swan Bay, 10 kilometres to the south of Portarlington. 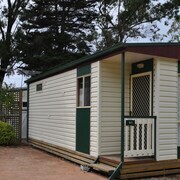 Swan Bay accommodation options are the Circa 1902 Queenscliff and Seaview House. 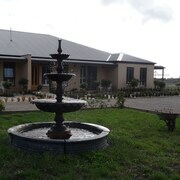 14 kilometres to the southwest of Portarlington you'll also find Marcus Hill, which is home to the Roseneath Villa B&B and Oakdene Vineyards. If you're staying in Marcus Hill, be sure to check out Sea All Dolphin Swims and the Queenscliff Harbour. Geelong can be found 25 kilometres from Portarlington and has a population of 230,000. When you're in the area, you'd be crazy if you didn't take a trip to Mill Markets, Bellarine Rail Trail and the Geelong Botanical Gardens. Why not also see what's going on at the Geelong Showground and Eastern Beach Swimming Enclosure? 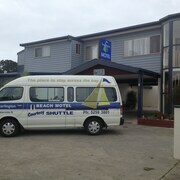 The Quest Geelong and Eastern Sands Motel are some great hotel options in Geelong. Arrived at Tullamarine Airport? Feeling a bit gross after the flight? No worries. Body wash and towels are waiting nearby at the PARKROYAL Melbourne Airport. If you can't score a room there, suss out the Holiday Inn Melbourne Airport. It's also pretty close to the airport, which sits 55 kilometres from the centre of town.